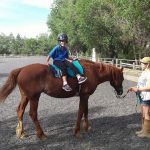 Though our program is not a traditional ‘Therapeutic Riding’ program working with people with physical and cognitive challenges, and utilizing ‘side walkers’ and ‘horse handlers,’ we do work with many children, teens and even adults on the autism spectrum. 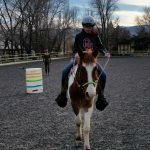 This is a wonderful article, from the University of Colorado, Anschutz Medical Campus, on their study about how work with horses helps people on the autism spectrum. The findings support the Equine Therapy offers many benefits, including decreased irritability, as well as better social and communications skills. Guess what? Along with our focus on each client’s individual goals, all of our clients receive these benefits too! 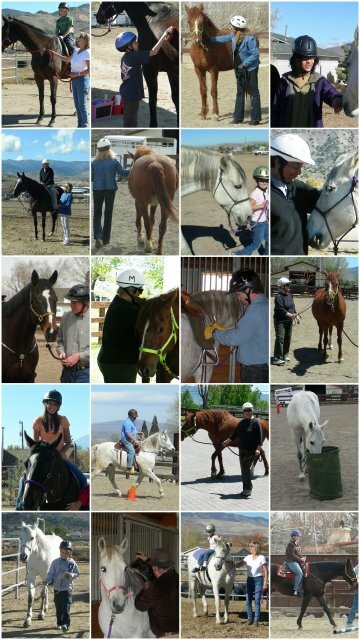 If you have a child or teen on the spectrum or who is dealing with social, emotional, behavioral or mental health issues, give us a call or send us an email to schedule a visit to the ranch. We will give you a tour, introduce our incredible herd of horses, learn more about what you are dealing with, and share how we might be able to help. 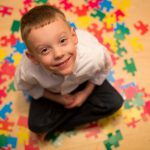 This entry was posted in ADHD, Anxiety Disorders, Asperger's, Autism, Children's issues, Depression, FAS, Mental Health, OCD, ODD, Other challenges, Teens. Bookmark the permalink.